Purchasing a pressure washer from Pressure Washers Direct is just like purchasing one from a big-box retailer. If you have a problem with your pressure washer while it is under warranty, the home improvement centers won't repair it for you. They will simply refer you to a local service center. 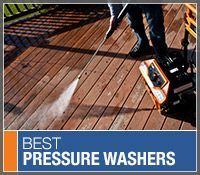 Pressure Washers Direct works the same way. All of our new products are backed by at least a one-year manufacturer's warranty. If your product needs servicing while it's under warranty, you can take it to one of the manufacturer's authorized service centers, who will repair the product for free.